There is a certain type of romantic comedy about a character who is trying to live in two worlds at once. Usually, this plot involves a deception of some kind. You know the kind of movie I’m talking about. The lead character is trying to achieve some arbitrary goal, and they pretend to be someone else in order to get close to someone, but then they actually fall in love, and when that person finds out who they really are, they can only hope that their deception will be forgiven because, well, true love always forgives. They usually say something like, “I’m still the person you fell in love with. That was the real me.” A top-of-my-head list of movies that fall into this category includes: The 40-Year-Old Virgin, Wedding Crashers, Hitch, You’ve Got Mail, Big, The Nutty Professor, Failure to Launch, and How to Lose a Guy in 10 Days. You will probably notice that each of the movies listed above was a financial success. To put it directly, this formula works, and, although it may seem cheap to simply recycle a box office-tested formula, the truth is that we like the formula because it speaks a very specific truth about falling in love. When we meet new people, we keep our guard up until we feel safe. We are, in essence, pretending to be someone else. When we care about a person enough to let our guard down, we take a huge risk in hoping not only that this person will like us the way we are but also that they won’t be hurt that we were not completely honest about it. Which is to say that “Safety Not Guaranteed,” a new indie rom-com that follows this formula to a tee, is really just a studio movie with independent financing. 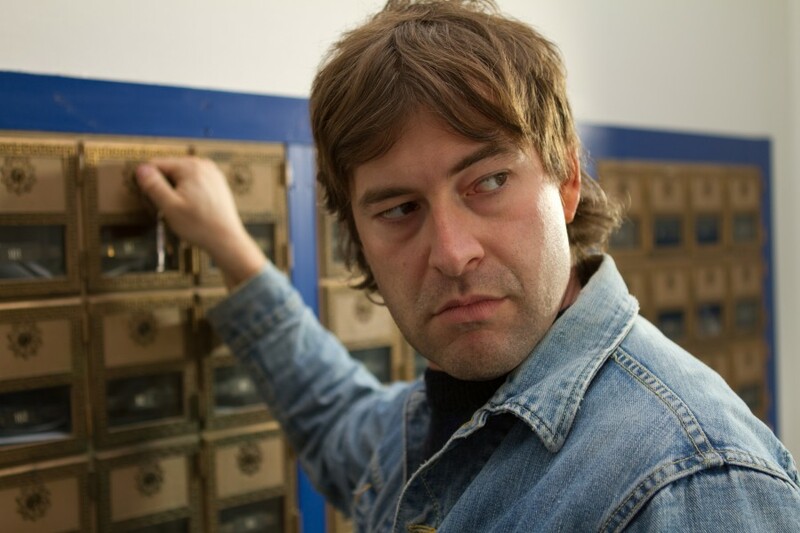 When Mark Duplass, hero of the mumblecore film movement, steps onscreen in his denim jacket and minor mullet, I was imbued with a feeling of authenticity, and that feeling lasted throughout the film. The very presence of Duplass is like cinematic short-hand that tells the audience that what they are watching is real and not one of those Hollywood movies. Although “Safety Not Guaranteed” is a formulaic romantic comedy, the presence of Duplass made it go down a little smoother, and I felt a lot less guilty enjoying it. As Kenneth Calloway, a man who has placed an ad in a local paper looking for a companion for time-travel, Duplass looks a little rougher than normal. With dark circles under his eyes and puffy skin, he is hardly a movie star, but due to his participation in such films as “Humpday” and “The Puffy Chair,” he is a rock star in certain circles, and as such, he gets a flashy part to work with here. Kenneth is a secret agent in his own mind and a loser nutcase to almost everyone else, and he brings just the right amounts of weirdness and shaggy-dog vulnerability to keep us off-balance. Enter Darius (Aubrey Plaza) a lonely intern who follows her supervisor on an investigative journey to look into the man who placed the aforementioned ad, and whose job it is to figure out who the real Kenneth is. This, of course, requires a deception. When she meets him, she pretends to be genuinely responding to his ad, and before long, she is in a new world that involves training with firearms and robbing laboratories for spare parts. The not-so-original dynamic here is that Darius is as weird as Kenneth, and the question of whether Kenneth is actually a time-traveler or just some nut fades quickly away, and we are left with a story about two weirdos falling in love. Although the realization that we are watching one of those films – the kind of romantic comedy referenced in the list above – is a little disappointing, the movie stays true to its characters and the source of the formula. It gives us two weirdos that we like, and it sets them loose to find their way. While Duplass gets the most memorable character to sink his teeth into, Plaza does some good work here in her first starring role. In fact, hers is the more challenging part. She must have a hard edge of cynicism that is slowly lifted, but must still be sympathetic enough to act as an audience entry point and reflect our perception of Kenneth. As she starts to fall for Kenneth, Plaza drops the persona of detachment and sarcasm that she has become known for and reveals depth and vulnerability rare in a young actress. Director Colin Trevorrow and writer Derek Connolly make the most of this fairly thin premise. Although the film was not directed by Duplass, he has left his stamp all over it. Like most mumblecore movies, “Safety Not Guaranteed” is about characters learning to be honest with themselves, and it ends on a note of earned optimism. And while I could not shake the cynical feeling that Duplass was being used to provide street cred for another formulaic romantic comedy, in the end, I didn’t mind. The formula works for a reason.